3. Share downloaded stickers relevant to your messages and liven up your conversations. 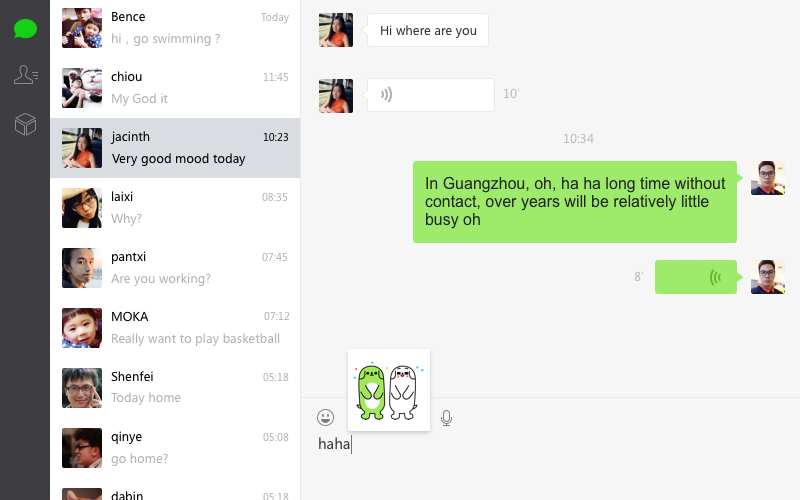 Favoriting messages, an optimized interface and stickers on demand – download WeChat for Windows 2.0 for our best PC experience yet.